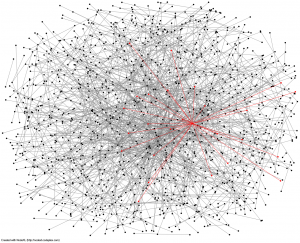 Centered in theories of class power in modern societies, much of my scholarship involves data collection from varied sources to build large-scale complex network datasets that address compelling questions concerning the political structure and influence of corporations on modern states. My most significant work in this area culminated in Agents of Neoliberal Globalization (with Derek Darves). Our book argues that the story of globalization cannot be depicted as anonymous market forces exerting quasi-natural laws on human societies: we must account for the political activities of large corporations. But what does the political action of firms look like in the context of trade policy and globalization? Agents of Neoliberal Globalization develops a rigorous social science approach to detect class political signatures in the making of global market institutions. I’ve published several articles and chapters on the subject as well. Forthcoming, 2019. 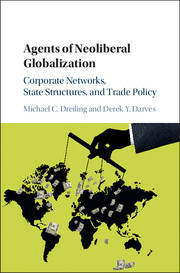 Dreiling, Michael C. “Liberalizing Trade and Finance: Corporate Class Agency and the Neoliberal Era,” in Eds., Thomas Janoski, Cedric de Leon, Joya Misra, Stephanie Mudge. 10,000 word chapter in The Cambridge Handbook of Political Sociology.Cambridge: Cambridge University Press. Forthcoming, 2018. “Trade Globalization and its Consequences.” 12,500 word chapter in New Frontiers in Globalization Research: Theories, Processes and Perspectives from the Global North and Global South, ed., Ino Rossi. Springer. 2018 Yvonne A. Braun and Michael C. Dreiling (equal authorship). “Social Problems in Global Perspective.” In The Cambridge Handbook of Social Problems, Eds. A. Javier Trevino. Pgs. 77-98. Cambridge University Press. 2011 Dreiling, Michael C. and Derek Darves. 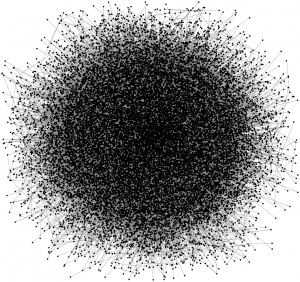 “Corporations in American Trade Policy: A Network Analysis of Corporate-Dyad Political Action.” American Journal of Sociology 116(5): 1514-1563. 2007 Darves, Derek and Michael C. Dreiling. “Corporate Political Action and Global Trade Regimes: Fortune 500 Firms in the U.S. Trade Policy Formation Process,” Research in Political Sociology, 15: 205-242. 2002 Darves, Derek and Michael C. Dreiling. “Corporate Political Networks and Trade Policy Formation.” Humanity and Society 26(1): 5-27. 2000 Dreiling, Michael C. “The Class Embeddedness of Corporate Political Action: Corporate Leadership in Defense of the NAFTA.” Social Problems 47(1): 21-48. A second “corporate power structure” project examines the intersections of corporate and state networks among energy industry interests in Japan and the U.S., forming the core of my next book project. Several papers are published or in progress on data analyses of the nuclear energy complex in Japan following the 3/11/11 tsunami and nuclear meltdown. Dreiling, Michael C., Tomoyasu Nakamura, Nicholas Lougee and Yvonne Braun. 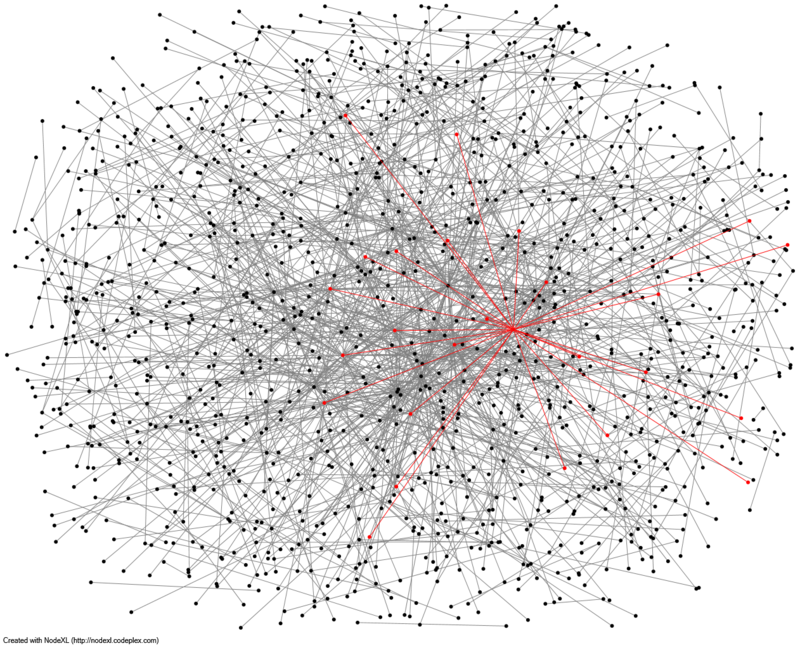 “Nuclear Denial in Japan: The Network Power of an Energy Industrial Complex.” Under revision. Forthcoming, 2019. Dreiling, Michael C., Tomoyasu Nakamura, Nicholas Lougee and Yvonne A. Braun. “Environmental Organizations and their Responses to Nuclear Crisis in Japan” in Nuclear Emergencies: A Holistic Approach to Preparedness and Response. Edited by Dr. Koizumi, Dr. Shozugawa, and Dr. Steinhauser for the series “Current Topics in Environmental Health and Preventive Medicine.” Springer Science. 2018. Dreiling, Michael C. and Tomoyasu Nakamura. “A Nuclear Complex? 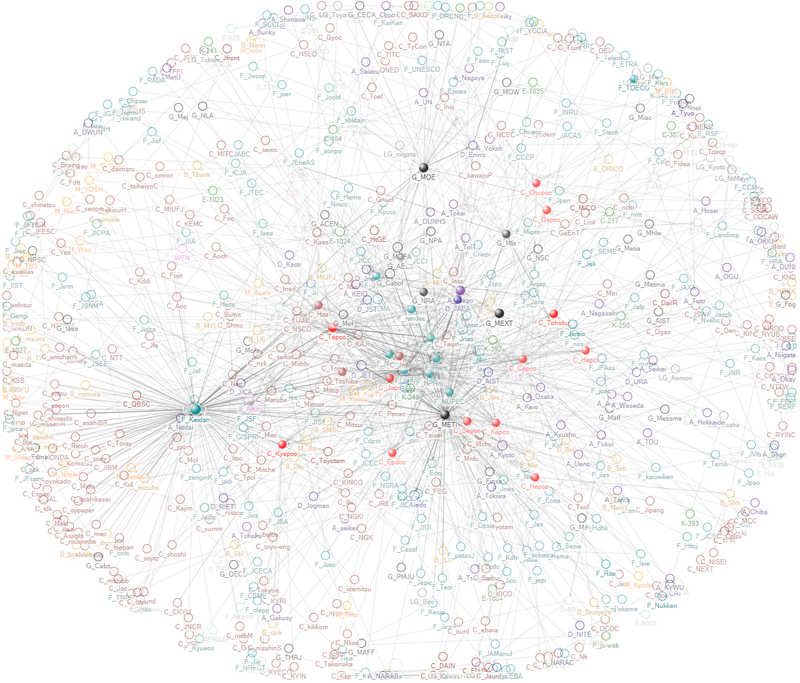 A Network Visualization of Japan’s Nuclear Industry and Regulatory Elite, 2006-2012.” Socius: Sociological Research for Dynamic World. 2017. Dreiling, Michael C., Nicholas Lougee, and Tomoyasu Nakamura. “After the Meltdown: Explaining the Relative Silence of Japanese Environmentalism on Nuclear Energy.” Social Problems 64(1): 86-105. 2015. Dreiling, Michael C. , Nicholas Lougee and Tomoyasu Nakamura. “福島原発事故に日本の環境団体はどう対応したか” (Responses of Japanese Environmental Organizations on Fukushima Nuclear Disaster). 専修大学 人文科学研究所月報 (Senshu University Institute of Humanities Monthly Bulletin, No.278, pp 21-63, November 2015). 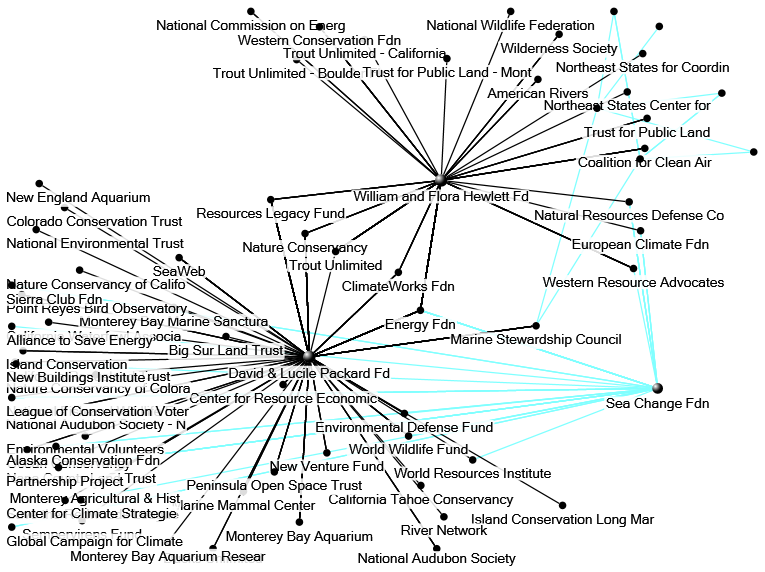 My latest work with Jeanine Cunningham (UO PhD student) in this area utilizes longitudinal network data to examine intra-elite conflicts and philanthropic efforts. Specifically, our first wave of analysis focuses on environmental policy agendas, and specifically the climate change agenda in the U.S. 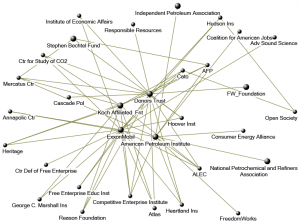 The data encompasses all corporate, individual and family foundation donations over $1 million to environmental groups and related think tanks and policy organizations in the U.S., 2000-2010. 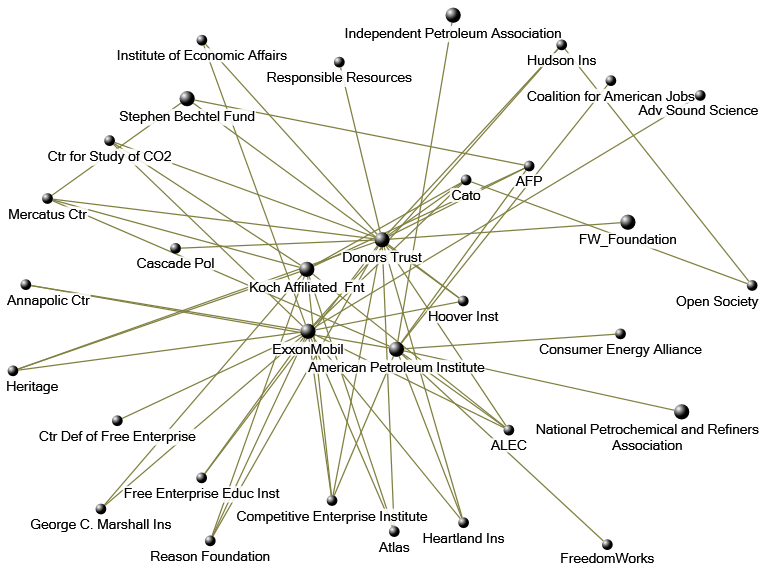 Our first draft paper identifies distinct and competing elite network clusters among liberal-leaning corporate foundations versus conservative climate denial interests. 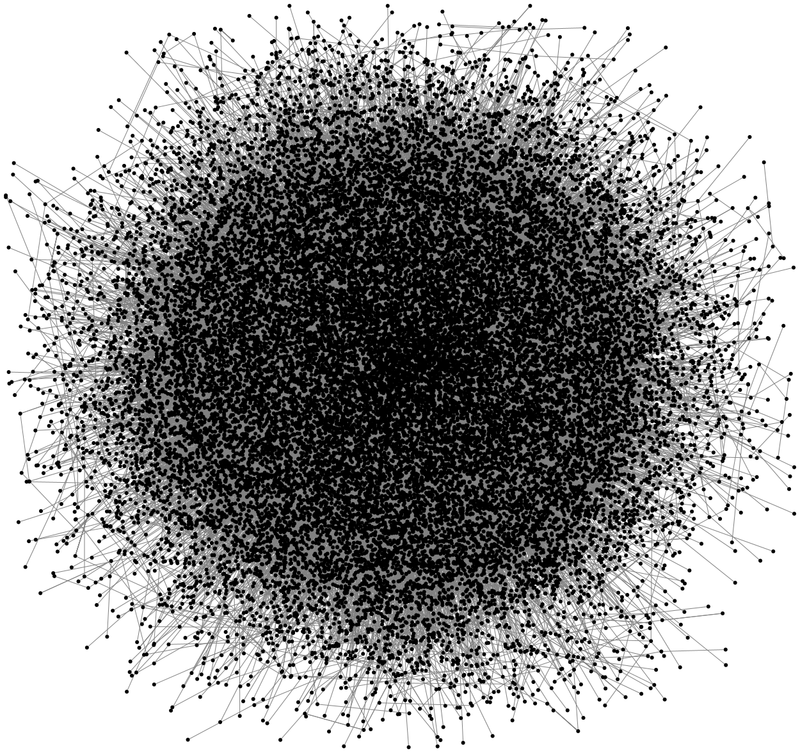 Here is a visual of the entire network of “donor-recipient” relationships over 10 years. 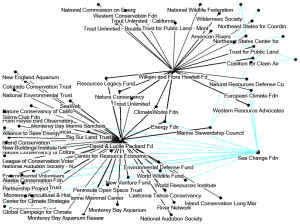 And here is a small gallery of some meaningful subnetworks around environmental foundation activities. Every line connecting two nodes means that at least $1,000,000 was given from the foundation to the other nonprofit in any of 10 years. A second strand of my scholarship focuses on social movement challengers to state and corporate power, including labor, where I utilize a relational framework that attends to the interplay of historical conjunctures and transformative alliances. Since the completion of my first book in 2001, I have applied this framework to transnational movements and advocacy networks. In “NAFTA and Transnational Contention,” a chapter in Contentious Politics in North America (2009) former graduate student Tony Silvaggio and I argue that a transnational, quasi-permanent “alliance and conflict system” over international trade developed in North America. In the years following NAFTA’s passage major mobilizations against neoliberal trade institutions occurred in cities throughout each country of North America. In the U.S.A., sustained coalition activity over the period, as well as the expansion of U.S.-based transnational movement activities, serve as indicators of a quasi-permanent alliance system in the U.S.
Several publications with Professor Yvonne A. Braun capture important historical conjunctures and networks that expand opportunities for the mobilization of women’s rights in Southern Africa. Our latest work demonstrates how transnational linkages are anchored locally and specifically how women’s rights are amplified not only by organizations of the global North, but by regional partnerships and hubs – particularly academic centers – within the global South. 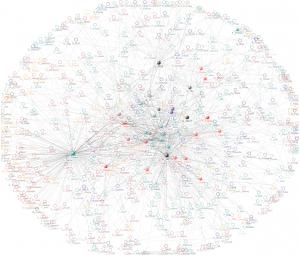 The network visualization of weblinks among women’s organizations across six countries in Southern Africa (2011) has several analytical features worth elaborating. 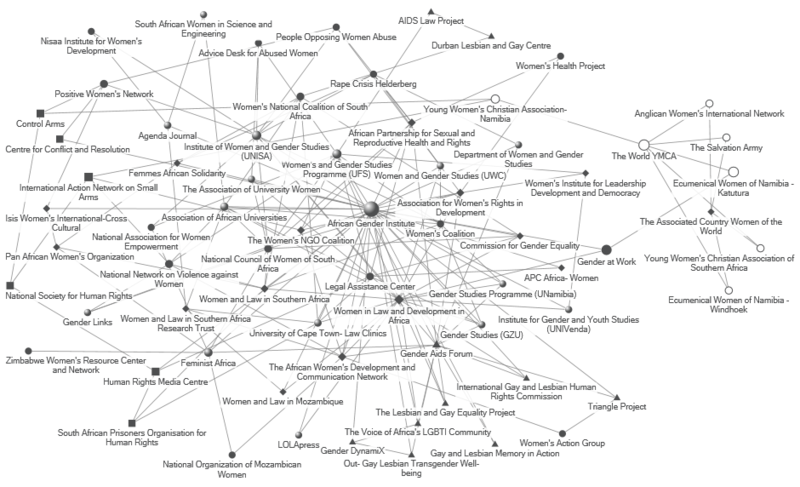 All nodes are sized by their betweenness centrality and shaped according to their primary organizational type, represented by one of 6 distinct node-shapes: academic departments, journals, institutes and associations are denoted by a sphere; LGBTQ advocacy and health support organizations are denoted by a triangle; religiously affiliated service organizations are denoted with an open circle; women’s regional and continent-wide legal and development organizations are denoted by a diamond; local and national feminist and women’s rights organizations denoted by a full circle; and general human rights and anti-violence organizations are denoted by a square. 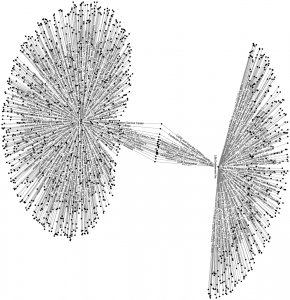 Particularly notable are four clustering patterns among groups. 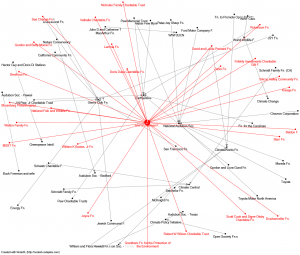 Religiously affiliated organizations are almost entirely grouped together in the upper right segment of the graph and, opposite we see general human rights and anti-violence organizations. 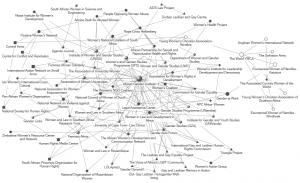 LGBTQ and health support organizations are clustered into two groups, with a larger segment in the bottom of the graph and a smaller segment consisting of two groups who linked to each other’s websites in 2011 at the top of the graph. At the core of the graph are academic institutes and departments (spheres) and regional or Africa-specific women’s organizations (diamonds). 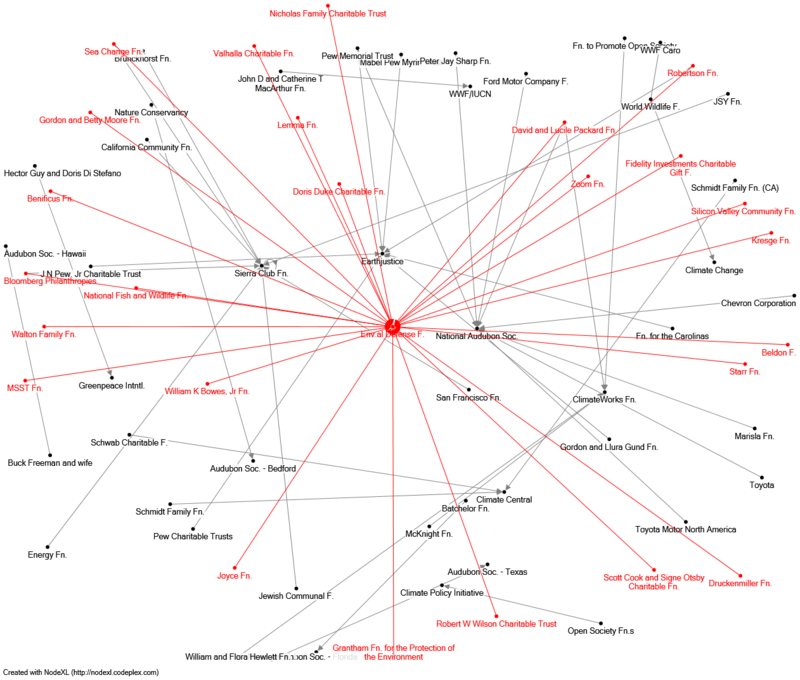 Only local women’s advocacy organizations (full circles) are spread throughout the graph, mostly at the periphery of the denser core where the highly connected academic bodies (e.g., AGI) and women’s African development groups (e.g., Women in Law and Development in Africa) form information hubs. 2014 Braun, Yvonne A. and Michael C. Dreiling (equal authorship). “Frames, Boomerangs, and Global Assemblages: Border Distortions in the Global Resistance to Dam Building in Lesotho,” (pgs. 261-292) in Nancy Naples and Jennifer Mendez (eds.) Border Politics, Social Movements and Globalization. New York University Press. 2010 Braun, Yvonne A. and Michael C. Dreiling. “From Developmentalism to the HIV/AIDS Crisis: The Amplification of Women’s Rights in Lesotho.” International Feminist Journal of Politics 12(3): 464-483. Reprinted in 2011 and 2014: New Directions in Feminism and Human Rights, Eds., Dana Collins, Sylvanna Falcon, Sharmila Lodhia, Molly Talcott. London: Routledge. 2009 Dreiling, Michael C. and Tony Silvaggio. “NAFTA and Transnational Contention: A Decade of Alliance and Conflict over Neoliberalism,” (pgs. 211-230) in Jeffrey Ayres and Laura MacDonald, eds., Contentious Politics in North America: National Protest and Transnational Collaboration under Continental Integration. New York: Palgrave Press. 2008 Dreiling, Michael, Nicholas Lougee, R. Jonna, and Tomoyasu Nakamura. “Environmental Organizations and Communication Praxis: A Study of Communication Strategies among a National Sample of Environmental Organizations.” Organization & Environment 21(4):420-445.